Tag Archive | "Malcolm T. Sanford"
We will look at Ecuador honey exports at our upcoming Ecuador Export Tour. Recent messages about a business opportunity with bee hives and honey evoked this response from one MD who reads our messages: Gary, Hope you and Merri are doing well. I also know of a couple of people who have also started raising bees and producing honey on their farms in addition to crops. They say that it’s relatively easy and the fresh honey has significantly improved their seasonal allergy-type symptoms. They feel that their immune system is better and generally feel better than before they started on the honey. It also helps to cultivate more bees, and we all know that they can use some help now! Thanks. There is growing interest in natural, healthy products from around the world. Honey has an added value because the production of the product is also extremely important to the environment. This makes Ecuador a special place because it has many types of great honey and excellent bee potential. One of the new products we will review for export potential at the October export tour is honey. 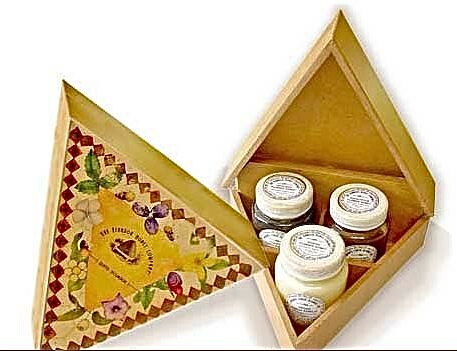 We’ll examine boxes from The Ecuador Honey Company for example. 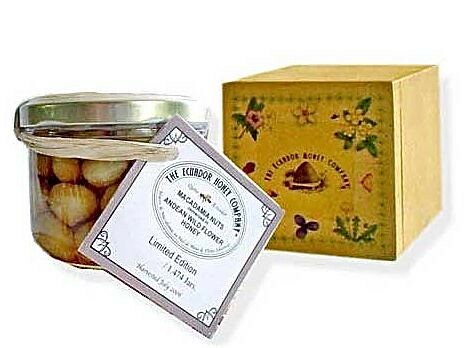 They merchandise honey in beautiful ways. Let’s look more at Ecuador honey to see if we can imagine any sweet business deals. 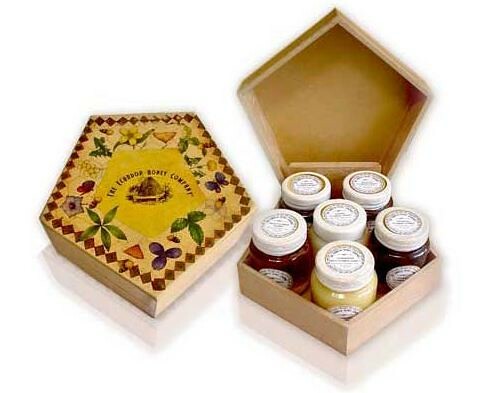 The Ecuador Honey Company offers packs of three, four, six and nine bottles of differing types of honey… honey with whole Macadamia nuts… Honey with crushed Macadamia….Tropical honey… Eucalyptus honey… Blackberry honey… Avocado honey… Strawberry honey and several other tropical fruits honeys such as Ñagcha honey. Ñagcha is a little yellow wild flower unique to the Ecuadorian Highlands that is harvested from January to May. You can see samples at the Ecuador Honey site here. An Ecuador export idea may be as simple as selling for an existing company like the Ecuador honey Company. Or one may want to do more. Honey can be marketed in so many ways and Ecuador is an almost ideal place to harvest honey. Malcolm T. Sanford of the University of Florida in Gainesville wrote in an article published at the Apicultural information and issues, IFAS University of Florida Department of Entomology and Nematology site: In spite of the problems, I still think that if Ecuador isn’t a beekeeping paradise, it comes pretty darn close. Here are excerpts from his article: The apicultural bottom line in Ecuador is that American foulbrood is not present, Varroa mites are not treated, pesticides are not a problem, and bees do not usually have to be fed. If colonies die out, they are soon replaced by naturally occurring swarms. 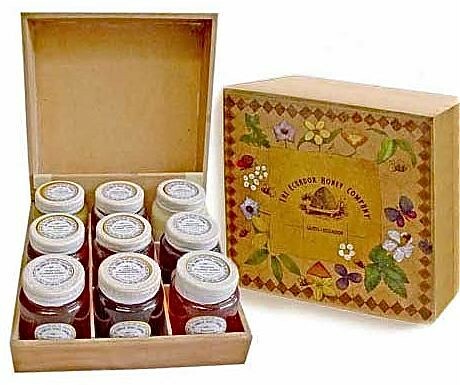 Market conditions are such that honey here fetches a better price than on the world export market. Because there is no treatment using either antibiotics or pesticides, the opportunity exists to produce certified organic honey for both the domestic and export market. Ecuador is not without its problems. Two of its volcanoes continue to erupt causing some dislocation. Its infrastructure leaves much to be desired, especially roads that are in bad shape due to large traffic loads and rains from the El Nino phenomenon. Read the entire article here. There are many business opportunities in the world today. Those that enhance health and the environment… such as honey offer extra potential and we hope this thought helps you find a honey of a deal. This is why if you attend either our North Carolina International Business & Investing seminar or Ecuador Export in October I will email you our Tangled Web… How to Have an Internet Business Course (offered at $299) free. You save $299. Attend any two seminar or tours in a calendar month…$949 for one. $1,349 for two.